It’s not hard to create a “wish list” for your playground. Yet most of us have already found out the hard way that finding the money to build the playground you want isn’t easy! Maybe your park or playground has old, broken equipment. Maybe parents and kids want features that you don’t have. Maybe it’s time (or waaay past time) to make upgrades to address potential safety hazards. The costs of playground equipment, site upgrades, shelter structures, safety surfacing and also outdoor fitness equipment can be intimidating. Most community groups quickly realize there’s a big gap between their vision and what their budget will allow. Don’t despair; the funding is out there. It may take some creativity and detective work to find it. Whether you’re planning a project from scratch or updating an existing playground, you can find the funding you need even when your budget leaves a lot to be desired. There are playground equipment grants and fundraising resources available for your school, church, daycare, or non-profit. Many local and federal government agencies want to help and so do a slew of charitable foundations and non-profits. These grants are usually made in accordance with a strict set of standards and procedures. To apply, your group will need to submit a formal proposal. First, you have to do your research. The donors are looking to fund projects that fit their vision. The grant applications also must be written a specific way. Make sure whoever is writing your application is a good writer and able to pay attention to detail, as well as follow instructions. Our Funding Playgrounds – Resources for Parks and Rec Professionals article listed a few resources to help fund playground renovations. Anyone can apply for grants as long as they meet the requirements. You don’t have to be a pro! Who is the typical applicant? School systems or parks departments may have a dedicated grants coordinator or funding coordinator who specializes in seeking out funding sources. Smaller groups may have to take a more “do-it-yourself” approach. Church volunteers or PTA members can usually apply for the same funding as the “pros.” They just have to know how. Understand the purpose of the grant! Don’t waste your time applying for grants that don’t fund projects like yours. 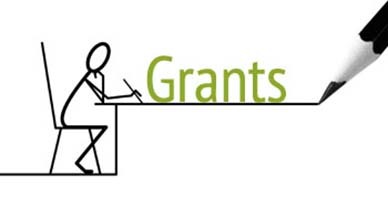 Write with the grant requirements in mind. If the funder’s goal is to improve accessibility, for example, make sure everything you write emphasizes how your project will accomplish that. Start early. Successful grant applications are rarely written by procrastinators. Apply for every grant you are eligible for. Don’t put all your eggs in one basket and expect a single grant to cover everything. You may need to combine funding resources to cover the whole cost of your project. Establish clear goals and write with an outline so your application is organized and logical. Follow instructions. Some foundations can be picky! They might specify page length, number of words, typeface, etc., so be sure to follow the specifications so you don’t get ruled out based on a technicality. Be detailed. Include drawings and detailed cost projections. Know the current safety guidelines to assure granting agencies that your proposed plans will meet all appropriate standards. The funders will tell you what to send. At the same time, don’t send more than they request. Proofread. Have someone else read through your application to make sure it makes sense and doesn’t contain errors. Don’t lose hope if you don’t get the money the first time around! No matter how perfect your proposal is, it is still the funder’s decision if they will fund your project. Even the best writers of grant applications get turned down from time to time, so don’t give up if it happens to you. In fact, if you are turned down for a proposal, send a sincere thank-you letter for having been considered. The funder may remember your graciousness and give your next application a closer look.